There's no denying it - that Ohio winter weather is here, and it's important to take some necessary steps to stay safe. We’ve made a list of all the essential contents of a good roadside emergency kit. Equipping your car with the following items can save you a lot of problems. Whether you’re driving around town, or driving across the state, don’t be left out in the cold. While we recommend these all-year-round, there’s never a more perfect time to pick one up at your local Target, Walmart, Sam’s Club, or auto shop. A store-bought roadside emergency kit will contain all your first aid essentials, along with jumper cables, gloves, and more. Make sure you add some batteries, a flashlight, some drinking water, and a few non-perishable snacks like protein bars. It’s worth the extra few dollars to keep a backup ice scraper in your trunk. You never know when you'll need it! Keep a bag of road salt in your trunk in case you run into a snowy problem you can’t get out of. You make take a wrong turn and end up on an unsalted country road, park in a spot that you might not realize is surrounded by ice, or get snowed in over night. It’s always nice to invest in a good walk-way shovel for those extra snowy days, but it might help to keep a small one in your trunk for a tough parking spot or unexpected roadside stop. If you’re taking any long trips to visit grandma in Xichigan, or your college students in Kentucky, you may want to consider a portable battery. This can power your car for hours if you’re stuck in a storm or waiting on the side of the road for AAA and need to keep the car warm. Speaking of warm, it doesn’t hurt to throw a blanket or two in the trunk. These handy devices may run a little steep for a modest budget, but a good remote start is a great investment, especially if you don’t have a garage at home or work. It’s no secret that warming up your car a little before hitting the road is a must; a remote start is the next step up in winterizing your car and saving you time. It's not exactly “just walk to the nearest gas station” weather anymore. Grab an extra bottle of anti-freeze window washer fluid, and perhaps a quart of oil. This one may seem obvious, but sometimes we forget the car charger. Keep a backup cord in the car you wont accidently remove. You can also purchase a backup battery charger (brick) that can fully charge your mobile phone. Cheaper battery chargers can be found at gas stations. These will likely give your phone a quick boost to make a few needed phone calls. More expensive bricks will charge your phone and additional devices several times if needed. Your roadside kit can save you a lot of stress and money, but it will also help you in an emergency. 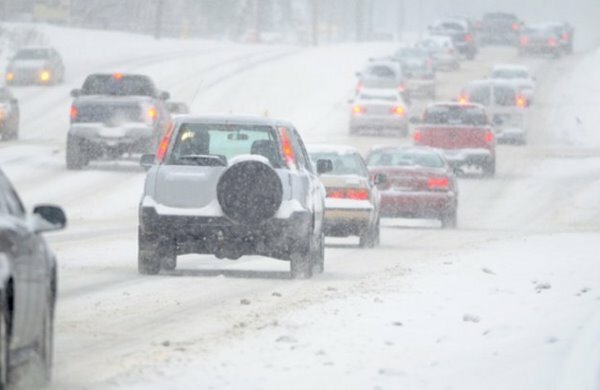 Don’t wait until you need costly car repairs from damage, or until you’ve gotten stuck in the snow. A little investment now means a lot of help later. And don't forget to be a courteous, safe, and patient driver!